How many times do you wash your face daily? I wash my face twice a day, once when I wake up and once in the evening to take off my make up and then cleanse my face. What is your current facial wash? My favourite face wash of the moment is the Clearasil daily clear refreshing super fruit wash with 1% Acne medication! It smells of berries and works really well! I also have the matching toner. SHOP HERE. Do you exfoliate? Not every day, usually about twice a week. What brand do you use? I use Amiee skincare. SHOP HERE. What moisturiser do you use? I use Soap and Glory Speed Plump. SHOP HERE. Do you have freckles? I do! But they aren't very visible under foundation! Do you use eye cream? I used to.. but they never really did anything for me so I stopped. Do you or did you have acne prone skin? I did and still do. My skin has improved immensely since I was a young teen but I am still prone to the odd acne breakout, usually on my cheeks and around my mouth. What foundation do you use? I currently only use concealer with powder on top, however I do own a lot of foundations so whenever I feel like something a little more heavy I tend to use my GOSH CC cream. SHOP HERE. How about concealer? I use miners cosmetics concealer under my eyes and collection concealer on acne or marks. SHOP HERE & HERE. Do you know your colour undertone? I have no idea, I have a very pale face but don't have any problems with redness or yellowing. What do you think of fake lashes? I like them on other people, but as a glasses wearer they're not for me! They just hit against my glasses. Did you know that you are supposed to change your mascara every 3 months? I did know that, and no I don't practice it haha. I just use my products until they run out! What brand of mascara do you use? I actually currently use the Poundland own mascara it's really good for adding volume and the formula isn't too wet! SHOP HERE. Do you use pencil or liquid eyeliner? Liquid... when I even bother to try, I nearly always end up hating it and take it off! Do you like drugstore make up? Absolutely, I hardly own any high end make up but I nearly always find a drug store product that I like better than it. 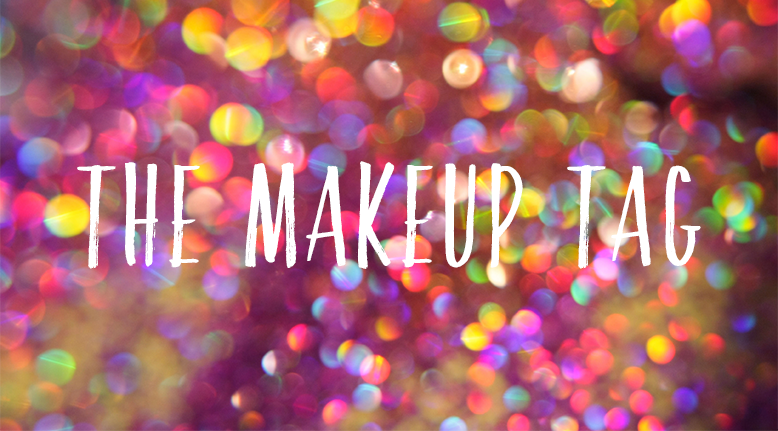 If you could leave the house using just one makeup item what would it be? Ooh this is hard. I go most days not wearing any make up at all, but if I had to wear only one thing I think I would choose concealer, then it would still look like I'm not wearing any make up but my skin would look clearer.